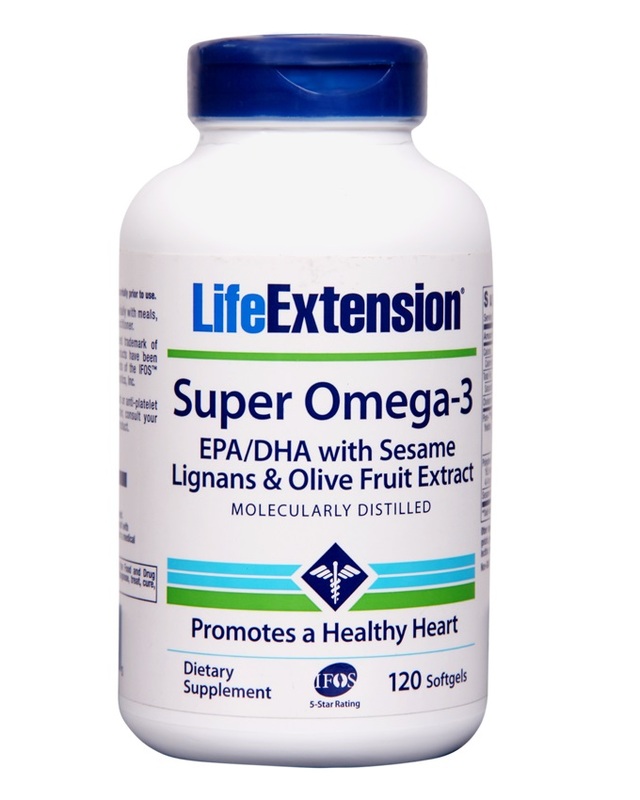 Life Extension Super Omega-3 EPA/DHA with Sesame Lignans & Olive Extract contains higher EPA and DHA fish oil concentrations is smaller sized omega-3 capsules. 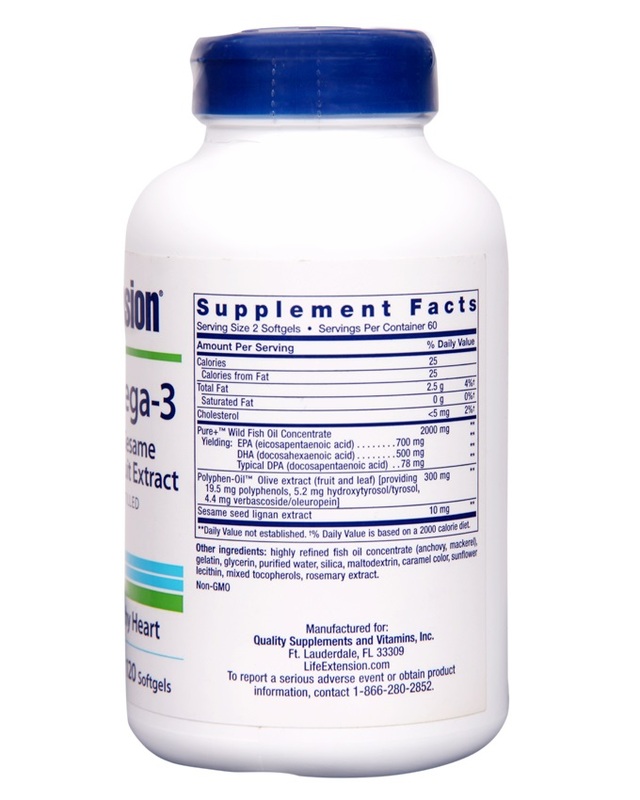 The addition of this new Alaskan-derived fish oil to the Super Omega-3 supplement group enables the same high-potency EPA/DHA to fit into slightly smaller capsules for easier swallowing. Consumers can exert significant control over their exposure to fish-borne toxins. 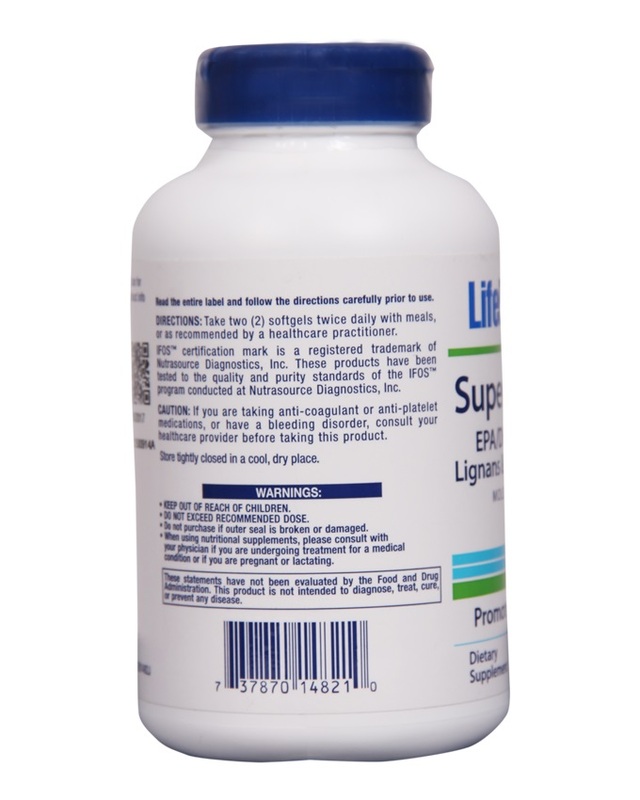 High-quality fish oil is distilled to remove synthetic and natural contaminants that existed in the fish itself. Enhanced molecular distillation techniques utilize redundant processes to virtually eliminate detectable environmental toxins. The other safety concern about fish oil is that its delicate omega-3 fats are highly vulnerable to rancidity.